The HR professional and quality assurance body of South Africa, the SA Board for People Practices (SABPP), together with its strategic partner HR Future magazine, has launched the most exciting national HR project in South Africa ever – the creation of the first set of national HR Standards at the HR Standards Development Summit on Tuesday, 21 May 2013, in Johannesburg. More than a hundred HR Directors and other senior specialists convened to develop the first set of national HR standards for the country. While global codes exist such as the Global Reporting Initiative, as well as the standards of the International Labor Organization, the local context requires a national approach and framework to address typical South African issues. A set of 13 national Standards titles has been brainstormed by the HR Directors at the summit in May and in August they will meet again to generate the necessary practice guidelines. 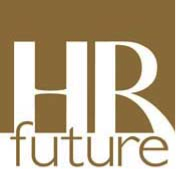 The standards agreed are strategic HR management, HR risk management, talent management, workforce planning, learning and development, performance management, reward, employment relations, wellness, HR technology, organisation development, HR service delivery and HR measurement. These areas are critical in improving the quality of people practices in organisations. Industries are unique and a national approach will not work. This is simply not true, HR practices are universal, it is only the context that differs, e.g. a large organisation will have a more complex recruitment and selection strategy, and a mine will focus more on an integrated employment relations strategy than a restaurant. Standards become onerous and too compliance-driven. This is not true, the intention is to raise the standard of people practice, and not to create another compliance regime. If we have good HR practices at our organisation, we don’t need national standards. Also not true. The intention of the project is raise the standard of HR work nationally, your HR practices may be good, but what will happen if one of your suppliers is unable to deliver because of HR problems?